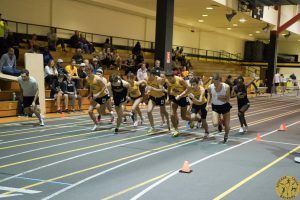 This was the first American Athletic Conference Indoor Championship for the Shockers since leaving the Missouri Valley Conference. A thin margin of 4 points separated the Shockers from the Houston Cougars for third and second place, respectively. Outstanding performances from the Distance Medley Relay and Zack Penrod in the Mile Run.